Loew-Cornell La Corneille flora™ brushes come with Taklon bristles, short painted wood handles and nickel plated ferrule. A good best quality brush for professionals or those starting out face painting. 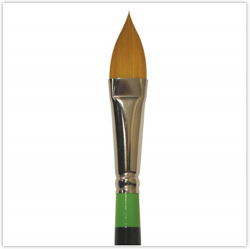 The Loew-Cornell Flora™ brush is ideal for painting petals, leaves and stems. 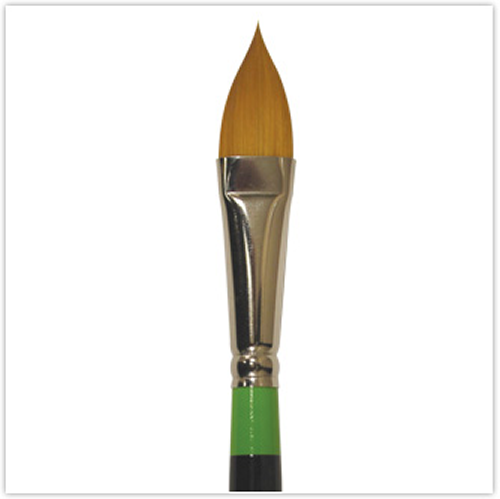 It has a uniquely tapered tip which makes fine detailing and painting of flowers easy. The voluminous base allows for ample paint load and beautiful blending. The brush head may also be laid down, imprinting the contoured shape of the brush. Love these brushes , no matter what size you purchase they are fab for flowers, tiger stripes too. 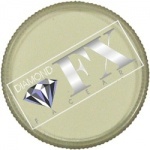 if you havent got one its a great addition to your kit , great for new painters too as it does the work for you ! great variety of petals you can get out of this brush. very good quality. Seriously folks, if I was abandoned on a desert island this would be the only brush I would need! 7930 'The Crow'. Good for butterflies, Tigers as well as petals. Wouldn't go any bigger. Usually use ordinary brush, but this varies the flower shape.